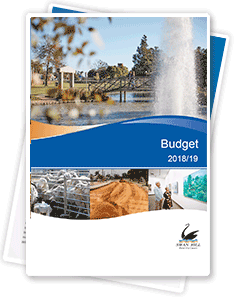 We are pleased to present our 2018/19 budget to the Swan Hill Rural City community. This $52.25 million budget outlines more than 100 services that Council delivers across the municipality and the major infrastructure and road projects we aim to complete in the coming year. It also outlines how each of these services and projects will be funded. We will deliver these projects and services within the State Government mandated rate cap of 2.25 per cent. In fact, the rate increase for 2018/19 will be below the cap, at 2.05 per cent. 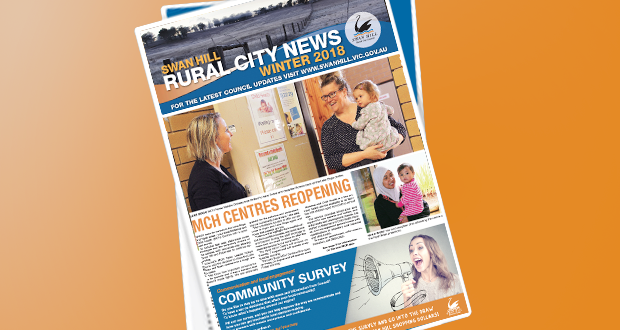 While the rate cap poses challenges as we formulate and deliver each annual budget, Council is determined to minimise financial pressure on the community, while maintaining, and in some cases enhancing, community services. It is worth noting one change to our rate modelling this year, which was made with this ethos in mind. The discount applied to dry land farming properties will be increased to 15 per cent to offset high increases in property values, and means rate rises will be more evenly distributed across property types. other community goals identified through a range of forums and consultations.